Shot hand held with D200 & 18-70mm. No PP. 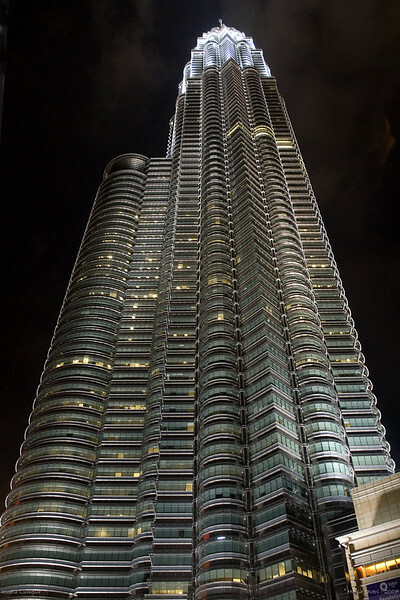 The Petronas Twin Towers (also known as the Petronas Towers or Twin Towers), in Kuala Lumpur, Malaysia were the world's tallest buildings, before being surpassed by the Taipei 101. However, the towers are still the tallest twin buildings and office building in the world. Fantastic shot! We miss you, Hershey! An amazing perspective of this architectural masterpiece. Love this! Such a beautiful photo of this amazing structure.